The one thing that people tend to forget when they sign up for a weekly share in a season's worth of produce from a Community Supported Agriculture farm? "You actually have to cook," said Katherine Deumling of Cook With What You Have. 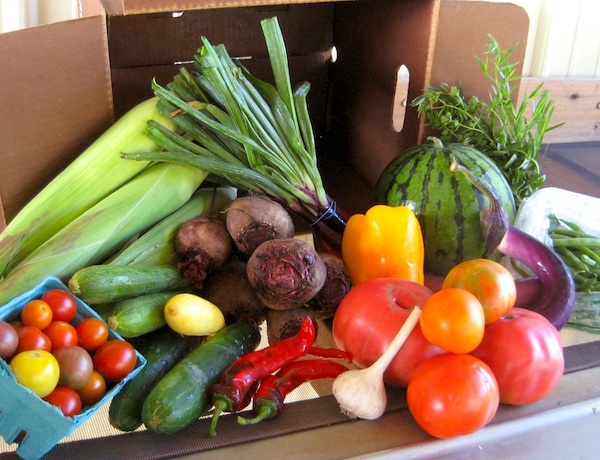 Read my article on choosing a CSA in the Oregonian's FoodDay section titled "Get Recipes Ready When Joining a CSA." Thanks for your article in the Oregonian! Lots of CSAs in SW Washington, too. I wrote this blog post "10 Reasons to Join a CSA Farm" a few years ago. http://www.southwestwashingtonzest.com/2009/09/10-reasons-to-join-a-csa-farm/ Belonging to the CSA was a fun and nutritious experience! Thanks for posting the link, Katlin!